Figuring out life in our twenties can feel like searching for a specific marble while floundering in a swimming pool filled with marbles -- in the dark. Is this the career path I want to run down for the next 30-something years? Is this the person I want to spend the rest of my life with? Are these friends the kind of people I want to be more like or less like? Is this it? 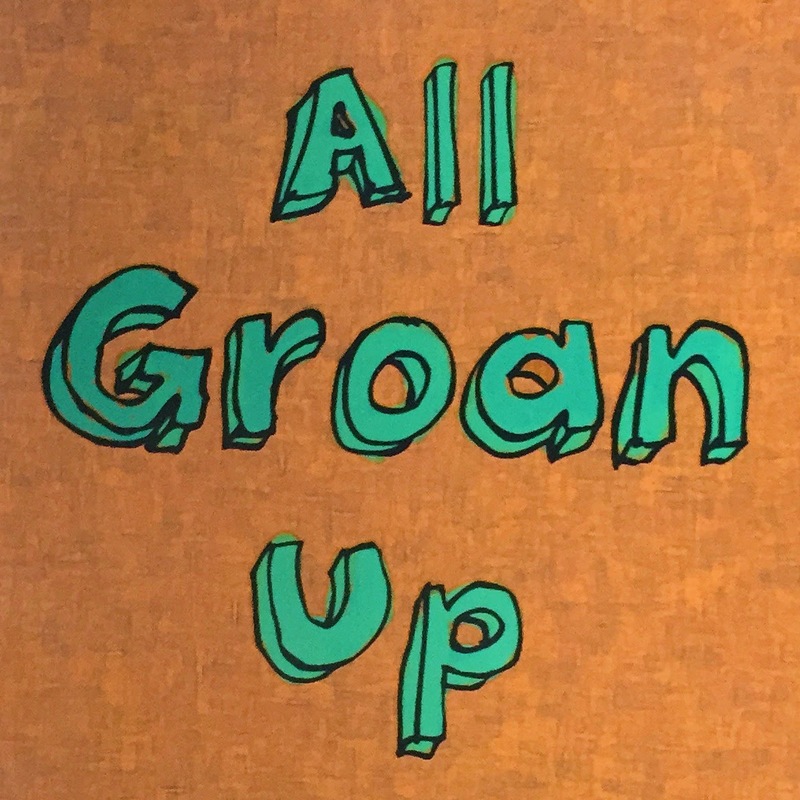 In his new book All Groan Up, my friend Paul Angone shares his twenty-something journey in a way that is hilarious, honest and inspiring all at once. I laughed a lot and it even made me cry a little (Like, maybe a tear or two). It’s immediately become one of my favorite books and if you are a twentysomething, you should pick up a copy for yourself! One of the biggest transitions I’ve been through was moving to Texas immediately after college graduation for a job. I didn’t know a soul for about a 400-mile radius and at the beginning I spent a few lonely Friday and Saturday nights at the beginning. When you’re friends and family are more than a thousand miles away and you have no one but yourself to keep you company, you start asking yourself: Do I like me? Do I honestly like the man I am? The man I’m becoming? Our answers will be tested by career road bumps and painful heartbreaks and self-doubt. But how we view ourselves can’t be determined by our relationship status on Facebook or the crappy job we might currently have. We have to learn to view ourselves the way God does: We are are loved. We are cared for. If you have a pulse, you matter to God! We can’t just live with ourselves; we have to actually like ourselves -- even when things aren’t going great. You know the Golden Rule? The one that goes ‘Love your neighbor as yourself’? Well, you can’t love your neighbor well if you don’t love yourself first. Chances are you won’t be a millionaire by the time you’re 29 years and 364 days old. Sorry. Reality is, we’re probably not going to have many accolades or high schools named after us for quite a while. It’s easy to get discouraged as we chant What do we want? Success! When do we want it? Now! But the truth is the elusiveness of success could be the best thing for us in our twenties -- if we attain success that our skills and character can’t sustain, we’re in for a world of hurt. Instead of fretting about our lack of success or enviously looking over our fences at the success of others, start working with what little you have now so that it can turn into something awesome later. I’m a planner. I love to-do lists and my Google Calendar. I like making plans and sticking to the plan and things going according to plan. We make five-year plans and ten-year plans... but then things happen. Things we can’t prepare for. Things that punch us right in the gut, bring us to our knees and laugh at our carefully crafted five-year plans. How are we going to respond when those moments happen? We’re all going to fall and fail at some point. It’s gonna happen. But the amazing thing about grace is that it never runs out. It’s always available to us. No matter how badly we mess up. I love how in All Groan Up, Paul writes that God gives us “ledges of grace” to fall on. He’s vulnerable about some of the mistakes and hardships that marked his early twenties, post-college life. And yet, through it all, God was there, ready to pick him up in His arms and give him another chance. And another. Grace is a gift we don’t deserve. Grace gives us a chance to move forward. Grace is always there to catch us when it looks like we’re falling towards a rocky death. I’m guilty of this… I’ll sometimes find myself looking back at the past, to my college days or my few months in San Antonio or senior year of high school and say that those were ‘the best days of my life.’ But in the moment, did I realize it? Did I ever stop and really enjoy where I was at that stage in life? There is purpose in every season. There are blessings in every station we stop in. But it’s so easy to dwell on the negatives that we forget to stop and thank God for the amazing stuff right in front of us. Wherever you are in life, stop for a second. Take a look around and enjoy the view. Tomorrow it might be gone. Like Paul, you have a story to tell. It doesn’t matter if you’re 23 or 57. Your story is just getting started, but you don’t have to wait for someone else’s approval to start telling it. We need to hear your story. We need to hear about your struggles. We need to come alongside each other and pull each other out of the muck. We need to hear how you are overcoming the obstacles of life, so that we might do the same. Someone out there needs you to get out of your comfort zone and share that story. If I waited until I felt like going to the gym, especially on Leg Day, I’d never do it. If I waited until I was inspired to write something, I’d rarely write. More times than not, inspiration is something you work towards, not something you wait for. You have to act your way into it. What are you waiting for? Pick up a shovel and start digging! Paul’s book All Groan Up came out on Tuesday, April 21 and you can pick up a copy at your local bookstores or via online sites like Amazon.com.